Circularise web-based individual product tracking system allows producers to add unique identifiers to any product (e.g. composition product and material contents). This identifier can be used internally and to communicate with other parties in the value chain (e.g. to recyclers: buildup of end-of-life products, value assessment, forecasting, etc.). This communication is based on Blockchain, thereby ensuring trust and privacy. 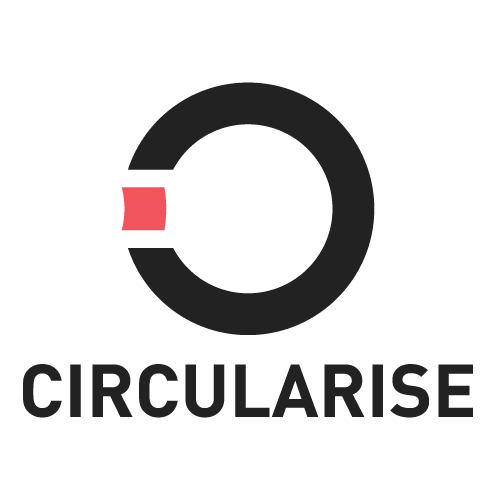 Circularise is used by producers of consumer electronics to engage with their customers. This allows them to capture valuable market data without intruding in their customers’ privacy. This same label can be used by recycling facilities to improve their sorting capabilities, saving time and ensuring a higher quality secondary raw material. Circularise can also be used to comply with legislation e.g. conflict minerals reporting. By mirroring product details from mine to product in the digital space in such a way that they cannot be changed, Circularise can be used as proof of due diligence. The use cases for Circularise are unlimited! 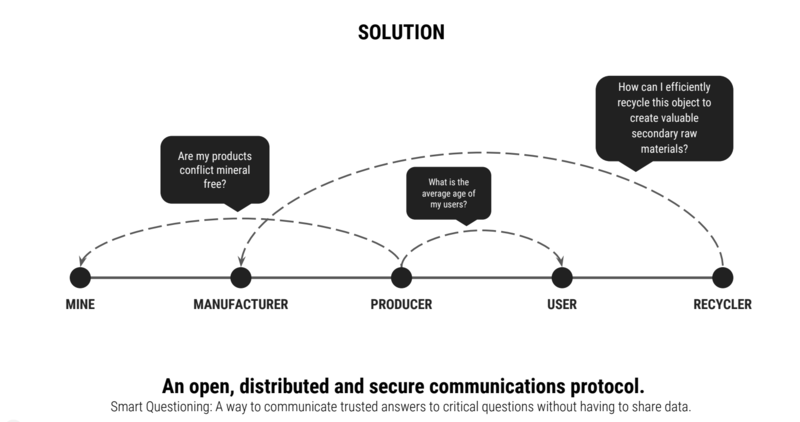 What would you do if you could track every product in a safe and trustworthy environment? Circularise’s web based product tracking system can be applied in a virtually endless range of product value chains. The potential of these type of IoT solutions is therefore beyond imagination. In terms of raw materials and resources, this innovation will enable stakeholders in the value chain to get an oversight of the whereabouts of products /raw materials, to forecast the geographical buildup of deposits and to plan logistics and recycling activities for specific materials. This will result in a more focused recycling approach, a higher quantity and quality of secondary raw materials and ultimately securing European sources of (critical) raw materials.